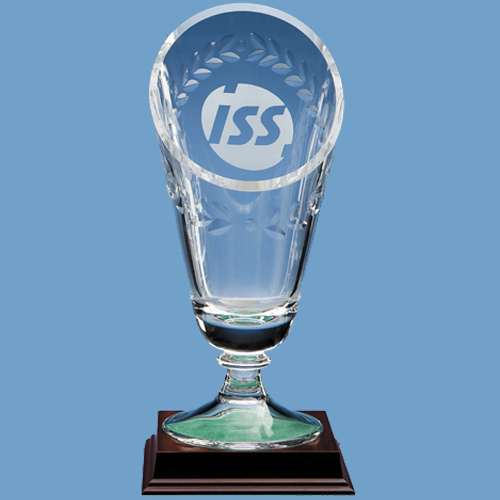 The plain footed vase has a laurel design cut and polished on the side of the vase giving it a unique engraving panel on the back which can be engraved with a crest or logo. There is also room to engrave on the front of the vase below the laurel design. Available in 3 sizes, the vase is ideal as 1st, 2nd and 3rd place prizes.